The past and future will loom large during a week of celebration and the formal launch of a capital campaign for the Martha’s Vineyard Museum. On Saturday night the museum will host its 18th annual Evening of Discovery at the museum’s future home, the Marine Hospital on Lagoon Pond Road in Vineyard Haven. This year’s fundraiser picks up on the theme of the museum’s exhibit on Prohibition in the 1920s, with attendees gathering for food, fellowship, and even once-banned drinks in flapper dresses and wool suits while learning about rum-running and moonshine from Prohibition-era Martha’s Vineyard. Tickets are $250 apiece ($155 of which is tax deductible) and selling out fast — to see if any are available call 508-627-4441 extension 123. Cocktails and a silent auction start at 5:30 p.m., dinner is at 7:15. A few days later the museum will celebrate the launch of its capital campaign to renovate and restore the former Marine Hospital as the museum’s new home. 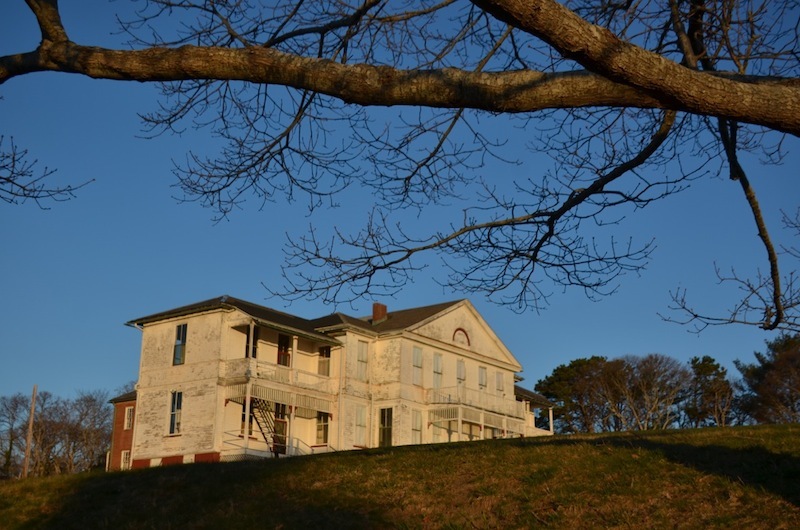 There will be an open house on Wednesday, June 29 from 5 to 7 p.m. at the Marine Hospital site, with a tour of selected rooms of the 121-year-old building and refreshments. The museum will be unveiling a new log, mission statement and public face to its campaign to completely renovate the old building overlooking the Lagoon. So far $13 million has been raised, with $18.5 million needed. Phase one of the project is scheduled to break ground in early 2017. The campaign will go forward under the stewardship of new executive director Phil Wallis. To learn more about it all and get a glimpse of the museum’s future (and the Island’s past), stop by the open house.